Autism instances have risen significantly over the last 40 years. In 1975, 1 in every 5,000 people developed the disorder, but today it’s 1 in every 68. Research continues to indicate that autism is more than just a genetic issue, but rather one closely related to environmental toxins, prescriptions drugs, and more. In fact, one of the biggest topics at hand regarding autism is how vaccinations may play a part. With a controversial presidency already underway, President Donald Trump faces a lot of scrutiny from the American public, including his take on vaccines. Recently Robert Kennedy Jr. and Robert De Niro headed a news conference at the National Press Club to announce a $100,000 cash reward for anyone able to present a peer-reviewed scientific study revealing that mercury in vaccines is safe. The challenge was perhaps purposefully unattainable, but conference was really more about Kennedy confirming that Trump may be asking him to lead a commission on autism. Such a commission could help expose what really drives vaccination policy and, in turn, reveal the integrity of the health care system, or lack thereof. There has been an apparent spike of vaccinations and autism cases over the past three decades that cannot be ignored. 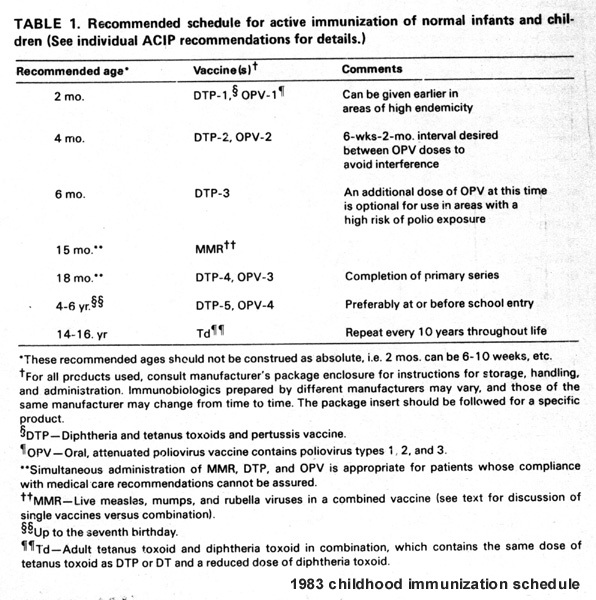 In 1983, there were 23 doses of 7 vaccines, but the recommended immunization schedule has since tripled to 69 doses of 16 vaccines. With Americans now being “required by law to use more vaccines than any other nation in the world,” it is questionable and concerning that, before the 1970s, childhood autism rates remained steady at a rate of about four in ten thousand children. But despite three decades of steady increases since the 1980s, childhood autism, according to the CDC, has climbed to 1 in 68 or 1.5%. Furthermore, the activists that Trump has associated himself with are being unfairly stigmatized, and being referred to as “anti-vaxxers,” with all the negative connotations the term holds. Yet, investigations have shown that such people, who question and present evidence that there is a link between autism and vaccines, are typically highly educated and wealthy, and don’t reject modern medicine at all. The judgements are only hurting the health of humanity. Perhaps it is easy to hone in on Trump’s ego-driven and simple viewpoint on many topics, including this issue, but his concerns seem to come from reasonable questions. People all over the world are beginning to wake up in a way like never before, that is needed more than ever. And all the questions they are asking have led to valuable research exposing the apparent links between health care and health issues.